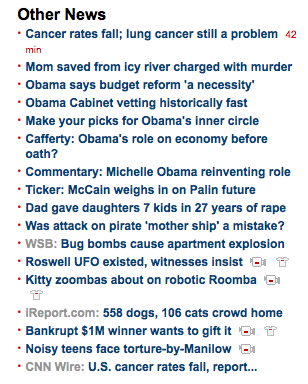 Posted today on the CNN homepage–a video of a cat riding a roomba. Yea, a kitty on a robot vacuum. Right there below the near death and lung cancer.